If you are having trouble with WordPress, you probably aren’t happy using its plugins either. As this is the first blog of 2019, I am hoping that you are “in the mood” to do something to move your art business forward. And, the best thing you could do is to take control of your marketing. To that end, nothing could be more important (well, except for email marketing) then having a website that you can control and that includes having a shopping cart you can control, too. If you missed it, you might want to start with Part One. In that article, I was adamant in my admonishment of the wacky, overly complex, and nearly impossible to use website builder that dominates the internet: WordPress. And adding a shopping cart plugin is begging for issues and problems. It was inevitable that we would discuss the ongoing challenges using technology that overwhelms creative entrepreneurs. In the 45 minute episode, we spent time discussing several topics related to having a profitable and sustainable art business. The topic of websites and not having control over one’s own website was a very lively part of the discussion. We name-dropped nearly a dozen better web building options for artists beyond WordPress. If you want some hand-holding, virtual high-fives, and little loving inspiration, I can help with WIX. As I said in Part One, I just love Wix. It’s so easy. You can learn more about my services here. Whatever level you are at with your art career, even just getting started at the kitchen table, it’s never too early to plan for success. Having a website that you can control is paramount to success. But hand-in-hand with that goal is having a way to sell online. These are two tools that you cannot live without… well, plus email marketing, of course. Wix and all the website development sites have shopping cart options. WordPress has plugins. But they almost always cost extra and often the carts are not quite perfect. However, there is a free option and I am always shocked that so few know about it when I am giving lectures on art marketing. To be clear, it’s not a fully functioning website in the traditional sense. It’s more of a “landing page”. You don’t have menus/pages. You have one page with the ability to create categories. 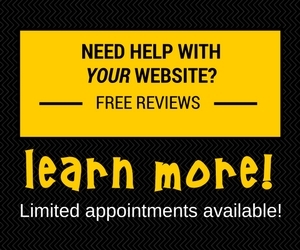 It’s not a replacement for a website, but you sure as heck could use it temporarily as a website while you get your real site done. It’s time to get ready for Valentine’s Day sales! Then it’s Mother’s Day, then Father’s Day and… well…if you don’t sell online, you are losing income. The SquareUp shopping cart is very robust! You can configure it to do all kinds of things. Create discount codes, or add-ins, show multiple photo angles, and much more. In addition, they have increased their acceptance of international bank cards, too. Here’s an example of my cart for my guidebook. Notice the options! If you already use SquareUp, here’s a link to learn more. You can use to start selling your work online instantly. With no monthly fees. No hidden costs. No contracts. No obligation until you make a sale then their competitive fees are charged. If you don’t have a SquareUp account yet, use this link squareup.com/i/MGWBIGHELP to get $1000 of processing at no cost at all. Yes, this is one of my very rare affiliate links. Bottom line: it’s a great shopping cart and you can add links to your website that drop people on the shopping cart for a specific item or the entire e-commerce page. Here’s an example of one of my e-commerce stores. I think you can see, it’s pretty straightforward. I actually have three separate accounts with SquareUp. Two of those use the online e-commerce site. If you have a WordPress site and are considering adding a plugin, like Woo Commerce, for a shopping cart (which you will have pay for if you want any bells and whistles, constantly monitor and update, and, of course, set-up), just use SquareUp.com instead. If you have a lot of international sales, you might want to look into Waveapps.com. Unlike SquareUp, there is no online store but you can set up a link anywhere that will create a “checkout” for selling just about anything and you can accept cards from many parts of the world. 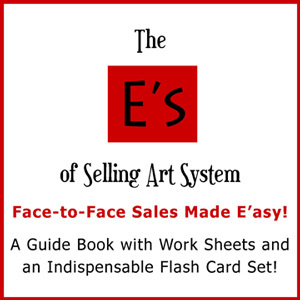 I used it last month via an email reply to someone in South Africa who wanted my E’s of Selling Art System. Here’s an example of what that might look like. Be sure to check out the drop down for the countries list! And of course there is PayPal, but I love that I get my money directed into my checking account automatically for the same costs using SquareUp or Waveapp. I hate arranging for funds to be transferred with PayPal. But on top of that, there are many very cool features for less money with Wave. Here’s a list of comparisons. And no… I have zero affiliation. 2019 is Here! What do you need to tackle? What’s the plan? Are you ready to rock 2019? 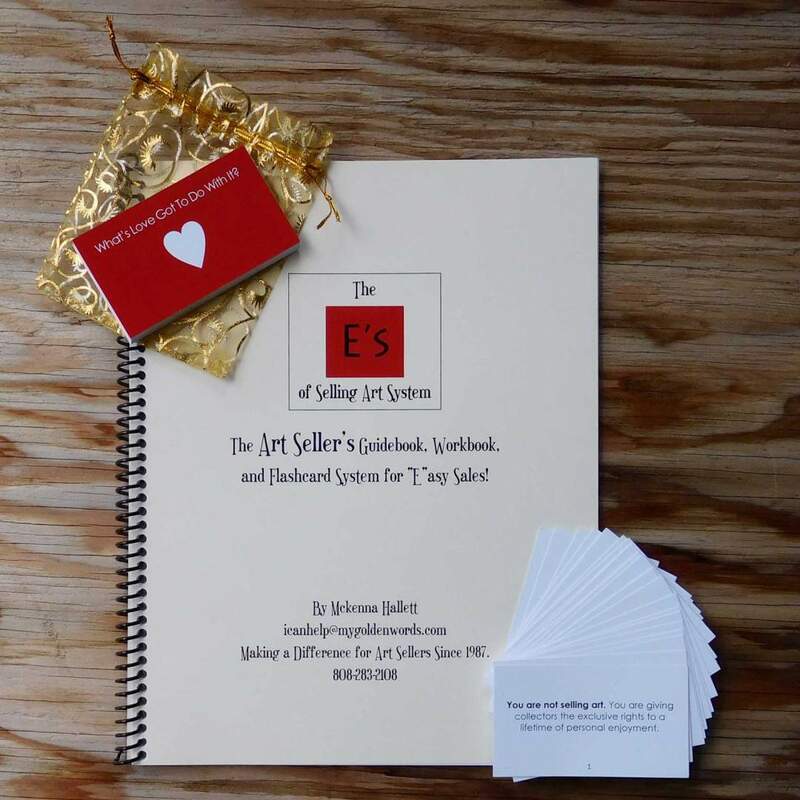 Are you ready to invest a little time and a little money in your art business? Do you want my expert help? Contact me and tell me what you need to re-position yourself or to brainstorm to discover what you need to do to ramp up your income this year. Or just set up a free 30-minute consultation. Let’s Find Loving Homes for Your Art! With some planning, determination, and a little “accountability coaching” from me, you can make the move into a thriving business. 2019 might just be the year to remember! 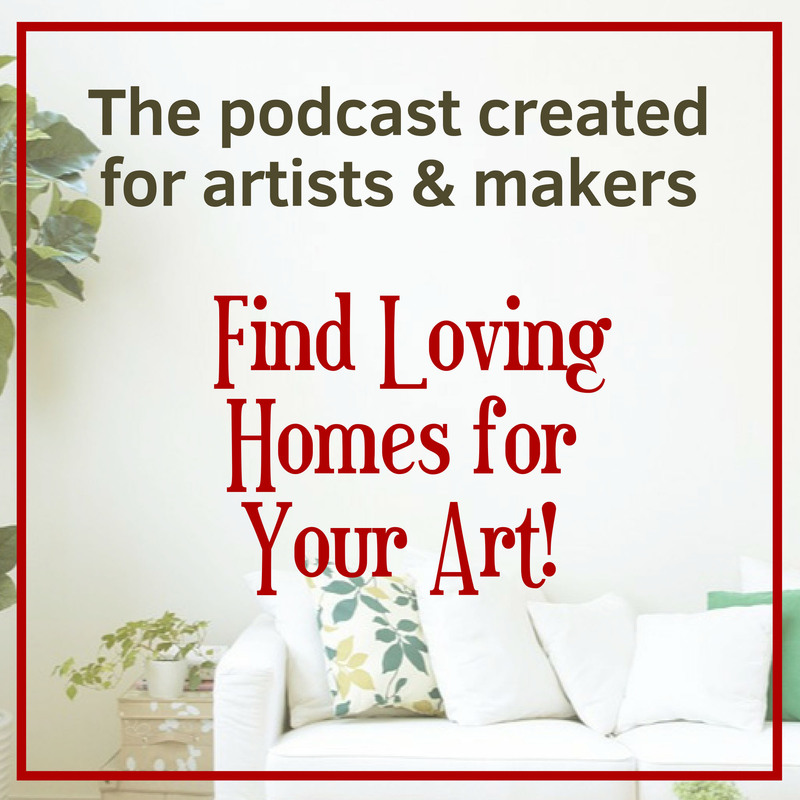 And don’t forget that I am creating a wonderful extra resource – the “Find Loving Homes for Your Art” podcast – over on Patreon. If you haven’t visited recently, you might be surprised to know that there are officially nineteen (19!) weekly podcast episodes. Consider joining the community today. Joining at the start of the month is your best value since all patrons funds are collected on the first day of the month. Start at any level and you will get access to all the podcasts and all future podcasts. Binge on good vibe podcasts and get 2019 off to a great start. Let’s make 2019 the Year of the Artist! The world needs more Art. You are needed in your studio. Hau’oli Makahiki Hou from Maui! Not sure I’m still connecting the parts on my website well enough but I am always trying to learn. I also second the motion on the squareup marketing service. I tried it only in December, and sent out one blast- and received a handful of unsubscribes. And no sales. Because I already collect emails from my buyers and enter them into the Wix shout out email system, it was a duplication. And probably more sales-y and not as personal from me. I let squareup know my decision. Keep the great advice coming. Thanks Diane! You are “in control”. Love it! And as for keeping the “great advice coming”…be careful with Wix “shout-out” emails. 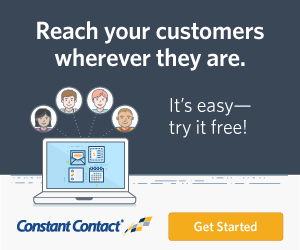 They are not as anti-spam compliant as some of the stand-alone companies, Constant Contact being my favorite. You really don’t want to get in trouble and if you don’t know all the laws required in US and Canada (don’t get me started on the GDPR again!) to connect within the rules, you can end up with big fines! Plus your delivery rates can be highly compromised, too. The best thing you said is, “I am always trying to learn” and that is the best tool you can use! The best advice I received was from you McKenna not using a third-party website such as many artists use because of the lack of control I have and their involvement in what I do. Yep… and, Nadia, you have continued to evolve with your site, too. So glad to have been a part of a good business decision!